Ireland is not "sitting on our hands" when it comes to thinking about ways of avoiding a hard border if a disorderly Brexit occurs, Tánaiste Simon Coveney has said. While continuing to insist that it’s too soon for formal talks on how to avoid the return of border checks in a no-deal scenario, Mr Coveney said there will have to be special arrangements on this island. They will have to be agreed by the Irish and British governments, in conjunction with the European Commission. It comes after German Chancellor Angela Merkel was reported as telling other EU leaders that they need to start thinking about a fall back plan for protecting the Good Friday Agreement. This week’s EU summit was the first time the leaders of the 27 remaining Member States talked in serious terms about the implications of the UK crashing out with a deal. Speaking at the Fine Gael National Conference in Wexford, Mr Coveney said the UK has already published a paper which acknowledges Northern Ireland needs special arrangements. “That is a paper which recognises that Northern Ireland is unique and different to the rest of the UK in terms of tariff treatment and border checks,” he said. 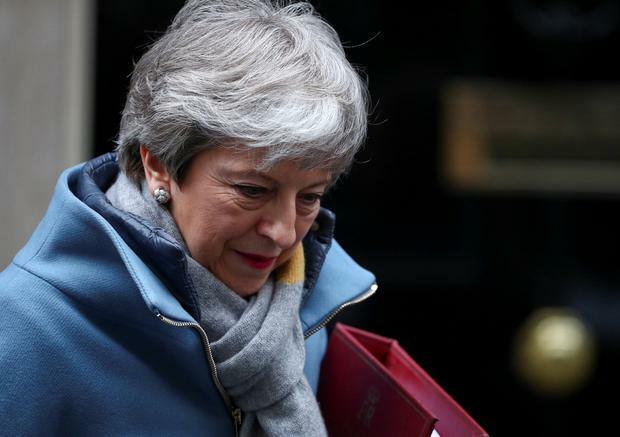 Meanwhile, British Prime Minister Theresa May has hinted that she might not bring her European Union withdrawal deal back to parliament for a third time next week if there was not enough support for it to be passed. May's Brexit deal has already been twice rejected by MPs but the prime minister was expected to try a third time next week. Timeline: what happens next after Theresa May's Brexit extension?